If you haven’t gotten your kids an Advent calendar yet, I highly recommend you check out Etsy’s Advent Calendar section. They have amazing handmade calendars that you can use year after year (or ones you can make yourself!). I’m a huge fan of using our Advent calendar as a way to give my kids the Christmas-themed gifts that can’t wait until Christmas, even if they’re too big to fit. Instead, I put a little note in that tells them they get to open a present instead! This is such a fun way to start off the calendar, especially since these items are full of Christmas spirit! You can’t possibly go through the season without a pair of Christmas pajamas! They’re perfect for photo-ops and since it’s getting darker and colder, they’ll be spending more time in their pajamas anyways. There are so, so, so many adorable options for Christmas pajamas. If you want to go all out, your best best is to head straight to Etsy where you can get customized Christmas pajamas with your toddler’s name on them (these are my absolute favorite)! If you’ve got more than one child, they can also all match! If you’re pressed for time (or just don’t want to spend too much), there are also really cute ones you can get straight from Amazon. These are my favorite and will likely be making an appearance in our house this year! You can’t go through the Christmas season without Christmas books for your toddler! And let me tell you, there are some seriously adorable Christmas books for toddlers out there, which only makes it that much harder to avoid them. 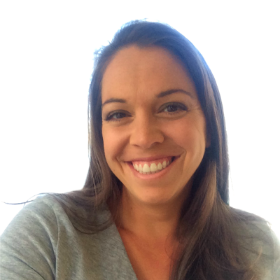 This year, a new release has hit the shelves and I’m losing my mind over it – First 100 Christmas Words! If you aren’t familiar with the First 100 Books, then I highly recommend you take a look (and get some stocking stuffer shopping done! ), because they are a huge hit with toddlers and an amazing way to help them learn new words. Both my son and daughter were obsessed with them. Christmas Socks are an absolute must for toddler Advent calendar fillers! They’re small enough to fit in the calendar, super cute, and you can get a set, which not only makes each pair less expensive, but will help you use up multiple days of your Advent calendar. These are the ones I’m using. They’re really cute and come in multiple sizes, so you can have all of your kids matching! What toddler doesn’t love to decorate Christmas trees? Getting their own Christmas ornaments is such a fun surprise for them. Not only do they get to hang them on the tree, but this is a great way to give them an ornament each year that commemorates their age and the year. If you want one that is personalized, you definitely should start with Etsy’s personalized Christmas ornament section. You can also find some fun and inexpensive ornaments on Amazon if you just need more fun toddler Advent calendar filler ideas! Once you’ve got your big items out of the way, it’s time to fill in the rest of your Advent calendar days with other cute ideas. As toddlers, both of my kids would walk around holding various play figurines for years. Their absolute favorite was a Daniel Tiger set. They’re the perfect size for Advent calendar fillers and since there’s 5, they take up a bunch of days. If your toddler has a favorite animal or TV character, this is a great opportunity to incorporate them. Magnets are such a fun toy for toddlers, plus they’re a great way to keep them busy while you’re working on other things! My toddlers used them on our fridge and trashcan and they were always a huge hit. These are the best because you don’t have to worry about a choking hazard. You can’t have too many bath toys! These are another toddler Advent calendar filler idea that is easy, can take up multiple days, and ends up being inexpensive. If you’ve got a little girl, then bows and headbands are absolutely perfect Advent calendar fillers! They can be Christmas-themed or just for everyday use. You really can’t go wrong with bows and headbands and they will last for years and years. If it’s got wheels, then you’ve got a winner! Toddlers love little cars and trains and for many of them, this will be the start of a decade-long obsession. There’s a whole world of little people (and animals) and they’re the perfect size for toddlers! If your toddler already has some little people sets, this is the perfect time to compliment them with more. Believe it or not, play jewelry is a great Advent calendar filler for both girls and boys. My son loved playing with different dress-up components! For girls, you can opt for girly costume jewelry, but there are also really fun Christmas light-up necklaces that are great for boys too. We all know toddlers are masters of using spoons and forks, so why not get them even more excited about it? There are tons of adorable spoons and forks for toddlers, so pick one you know they’d love! 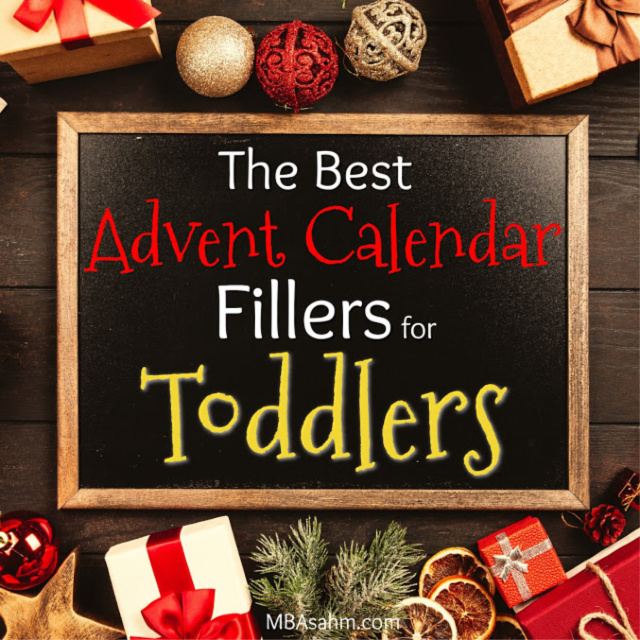 The Christmas season is full of so many amazing activities that you could easily come up with an entire month’s worth of non-gift Advent calendar filler ideas for toddlers. And of course, you can also just mix some of these in with your other Christmas goodies! 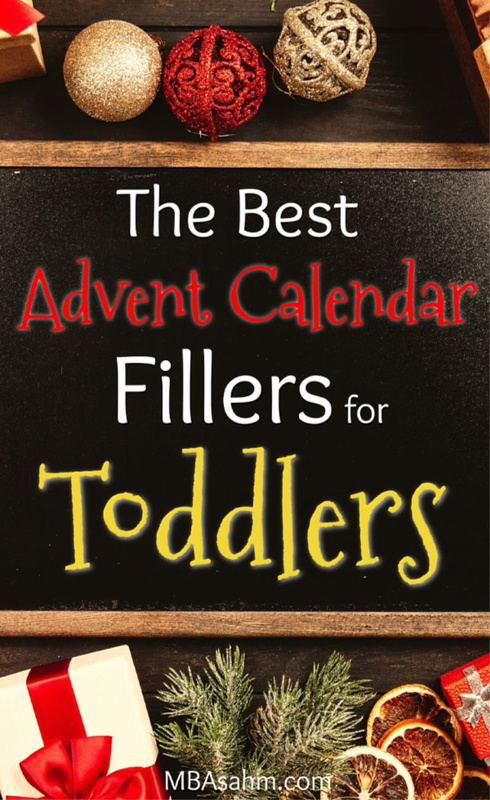 I hope these toddler Advent calendar filler ideas help make your Christmas season as special as possible! The holidays are so much fun with little ones, so try to enjoy every minute of it!